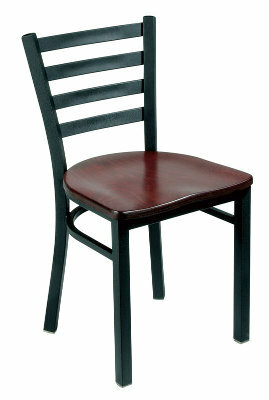 Our cafe chair with 4 ladder metal back is great for all kinds of restaurants, cafes, and bars. 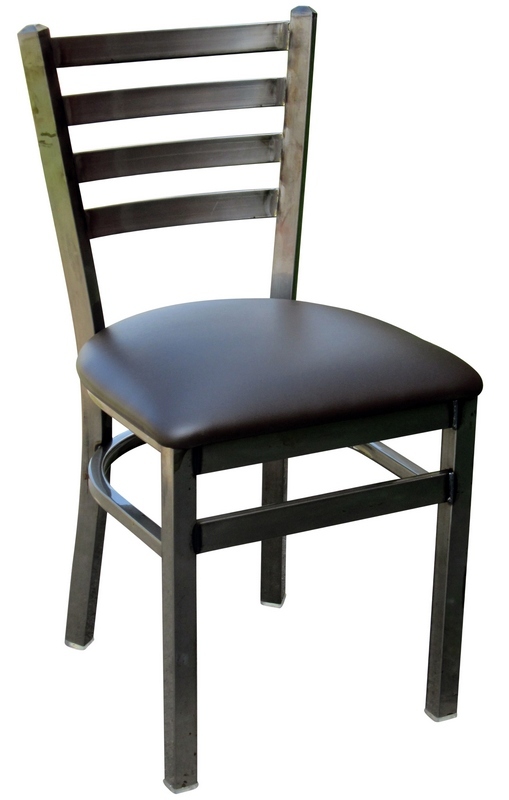 Choose from a wood seat in Natural, Cherry, Mahogany or Walnut finish or an upholstered seat in any of our upholstery vinyls. Standard frame finish is our popular black powder coat; custom frame finishes are available for orders of 25 pieces or more.